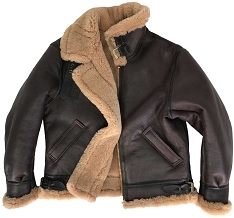 This is quite possibly the warmest Jacket we carry, and is the most plush in the Sheepskin category. 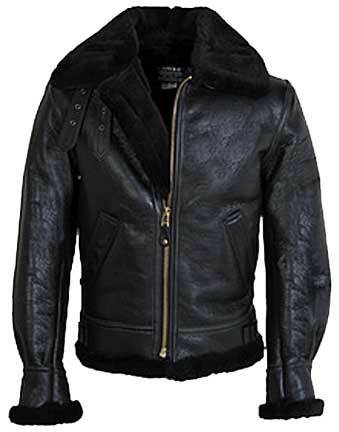 This black B-3 leatherized Sheepskin Jacket will keep you comfortable in the most extreme weather. Rare Ebony (black) leather shell with matching full sheepskin lining. 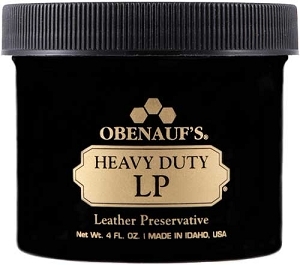 As worn, the leatherized sheepskin panels will distress to a suede finish, which will provide that battle worn look over time. 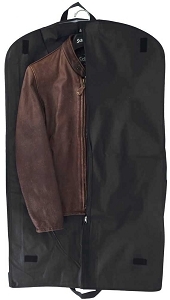 After extensive research, I ordered the Schott 257s from Ace Jackets. My size was not available from Schott, and it was also a couple of hundred dollars more expensive at Schott. Go figure... Anyway, I ordered on a friday, and the jacket was delivered at my door in Oslo, Norway the following wednesday. That is as close to warp speed you can get these days. It was sendt with fedex standard, and I tracked it as it travelled via Paris to Norway. Fedex also gives you an estimated TOA that turned out to be spot on. 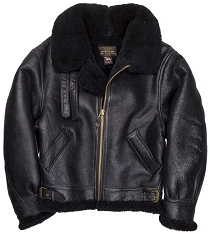 The jacket itself is absolutely gorgeous in a no frills, very masculine way. 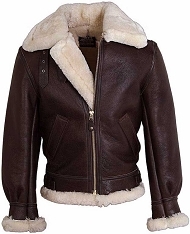 I have owned a similar jacket, as well as tried a variety of different brands of B3s in different stores, and the Schott is in a league of its own. The cut, the material and the workmanship is top notch. My old one is in brown with off white "fur", so I went with the all dark one this time, to tone down the "flash" factor a bit. You want to look great, but you dont want to be seen as trying too hard, amirite? :) Anyway, we just hit minus 15 degrees celcius (five farenheit) here now, and with the collar up and buckled, I only have a Tshirt on underneath. I am one happy camper right now. Highly recommended. I was very disappointed with the customer service provided by your company. I ordered this jacket on December 9th as a Christmas gift and didn''t get it until the first week of January. When I called in to check on the order, the people were wonderful and nice. But no email was ever sent saying there was a delay or that it was on back order. When the coat arrived it was BEAUTIFUL. We love the product, but updates should be sent to your customers, particularly during the holidays. Measurements are taken with garment laying flat on table. Copyright Ace Jackets. All Rights Reserved.